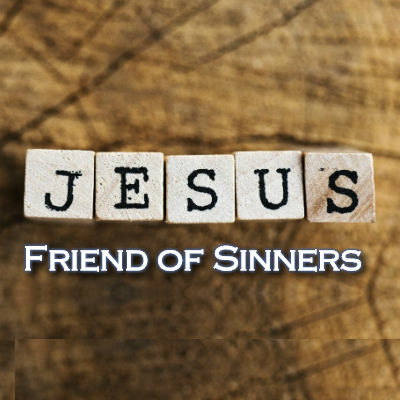 Jesus The Friend of Sinners. We everything that is going on in our world today, wars, hate, discrimination, etc. It’s evident more and more that our world needs Jesus, his touch, his love and compassion in order for it to eliminate hate and animosity from our midst. Think about it, if we treated each other the Jesus way this world would be better. People who came in contact with Jesus were never the same; their lives were transformed. We need transformation in our lives, but we are seeking in the wrong places. This world would never be too messed us for God to fix it. It would be never be to cursed for God to bless it; to fallen for Jesus to restore it; too gross for God to cleanse it. The world needs Jesus. Jesus was a radical teacher in his days; as a Jewish rabbi, he would do things that other rabbis would never do. The religious leaders of Jesus’ day would not associate themselves with people who were not like them. They would not hang out with outcasts and women. Jesus welcomed them all. Everyone mattered to Jesus. Jesus was known for hanging out with sinners, tax collectors, prostitutes, those rejected by the society in those day. When Jesus began his public ministry, he began to call disciples to himself. One of the twelve apostles of Jesus was hated by the Jewish just because of the job he chose to have. He was a tax collector. He worked for the Roman government, the very government the Jewish nation wanted to do away with. Tax collectors were rich in those days. They were employed as representatives of the Roman government, which required them to collect the assigned amount of tax money from the people. Whatever extra they collected constituted their own commission. Many of them would charge more so that their commission would be higher. They were hated by the people. Why would Jesus want to call someone like Levi to become his disciples? Jesus called him to follow him. Levi had heard a lot about this Galilean preacher, who now invited him to join his gang. Matthew or Levi got up from his booth and followed Jesus, then he threw a party for Jesus in his house. OF course he would invite his best friends, other tax collectors. In that culture, you eat with those who were like you. Levi or Matthew invited his buddies, other tax collectors to the banquet he threw for Jesus. Jesus got to hang out with Levi’s friends. Jesus chose to hang out with the outcasts, those rejected by society. He welcomed them in their midst. The Pharisees and teachers of the law. This group or sect believe in the resurrection of the dead, in angels and demons. They were expecting the Messiah to come and restore the kingdom to Israel. Their name means “righteous ones” They represent religion. What Jesus did went against their religion, their practices. Why do you eat and drink with tax collectors and sinners? Why do you hang out with people who are not like you? Jesus gives the reason for his befriending sinners. Jesus has come for everyone because everyone is a sinner. Sin is the reason Jesus came to earth. He wants to transform sinners into righteous people. Jesus is calling sinners to repentance to change. Our society sin problem: sin is the root of racial discrimination, violence, crime, hate. We have a sin problem in our world. Jesus befriended sinners to save them and transform their lives. That’s why he would associate with the outcasts, those who didn’t matter much to others. Jesus showed them God’s love and grace. The church today needs a tune-up in the attitude towards hanging out with non-believers. We need to make conscious effort to be in their midst to show them God’s grace and love transmitted through us. ‘We are going to have to leave the comfort of our own secure environment and plant our lives among people outside our churches and religious cultures. Doing so is what being missional is all about. Perhaps this best explains why Jesus’ great commission includes going” (Breaking the discipleship code, by David Putman). It’s sad to see churches who are to represent Jesus so content in their own little church culture, their activities and so forth while neglecting those outside, those who need Jesus. Church we must never forget that we are Jesus to the world; the world must see Jesus in us, therefore, we must do the Jesus thing. More lives are changed and transformed when we choose to be Jesus to the world rather than the Pharisees. What Jesus did 2000 years ago still wants to do it today. He wants to change lives and he wants to use you to bring change in people’s lives. Levi’s life wasn’t the same after knowing Jesus. Levi became an apostle and even wrote the gospel according to Matthew. Your life won’t be the same when you let Jesus into your heart and God will use you to bring changes in someone else’s life. Jesus still wants to go where the sinners are; he is still seeking to transform and chance lives. He is no longer walking the way he walked 2000 years ago, but today he does it through you and me, his church. Today he is working, playing, going to school, riding on a bus, shopping at a secular store. Would people get to see him? Would he have an impact there?